Here is a small sampling of our website development portfolio. Click View Live Site for any of the sites below to explore the rest of its pages and unique components. 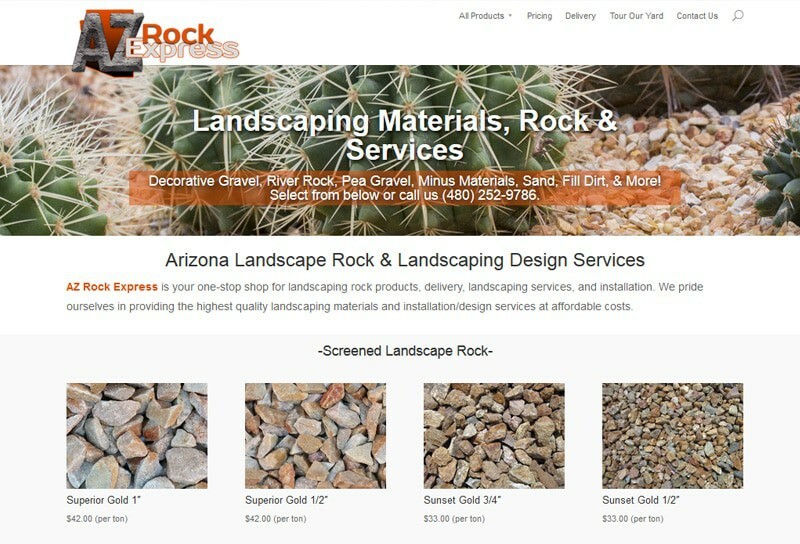 AZ Rock Express is a local landscape rock supplier in Apache, AZ. The ability to show clear images of the different landscape rock and dirt to the prospective customer was the main design priority for this build. This goal was accomplished, and the results are this is the leading landscape rock gallery site in the state and traffic continues to grow month over month. 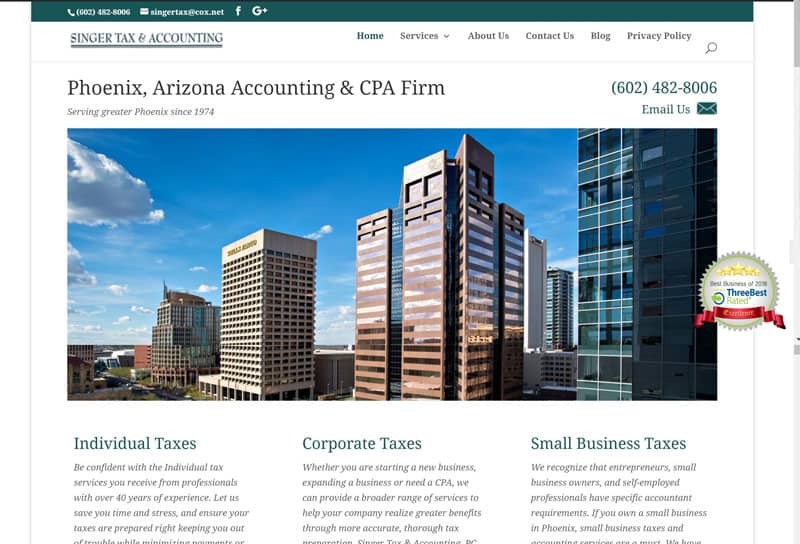 The top goal when designing Singer Tax & Accounting's website was creating a feeling of trust. After all, you wouldn't let just anyone handle your money. That's why one of the first things you see is the company's long history in the Valley. In addition, badges on the home page indicate that the company is registered with the IRS to prepare tax returns and is a member of various industry organizations. 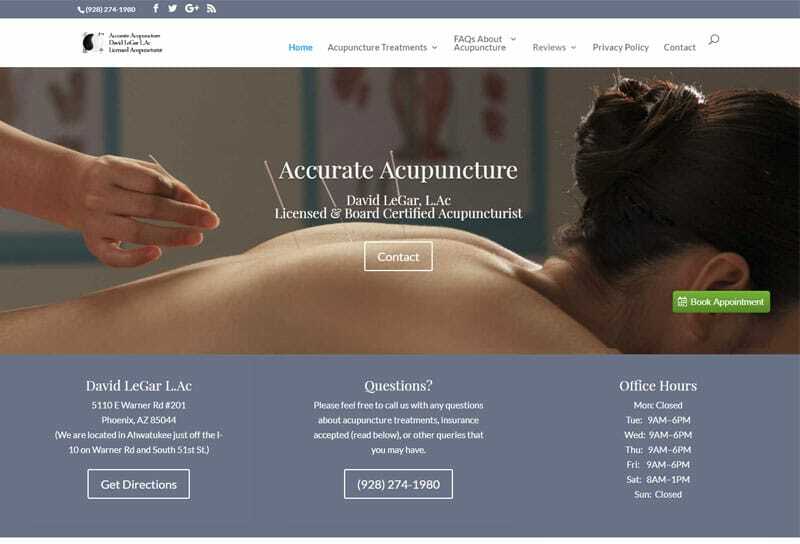 When designing the website for Accurate Acupuncture, we needed to honor the "alternative" aspect of alternative medicine while also imparting a feeling of trust and respectability to site visitors who may still be on the fence about the practice. A clean design with a neutral color palette achieved both goals. We also displayed the client's credentials and local awards before describing the services offered, with links to FAQ pages and studies supporting acupuncture's claims. With any restaurant website, the star is the food. But, you also want to get a feel for the atmosphere and overall mood of the place. That means images, colors, and fonts that support the brand. 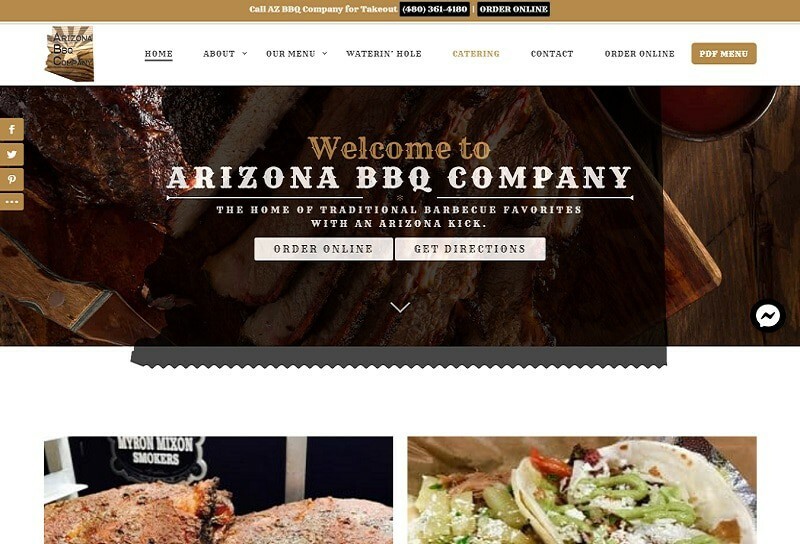 At Arizona BBQ Company, their signature is an Arizona twist to classic favorites, so we chose a font that makes you think of the Old West. Then we filled the screen with large images bursting with color, to match the bold flavor of the food and the homely, friendly atmosphere of the restaurant. 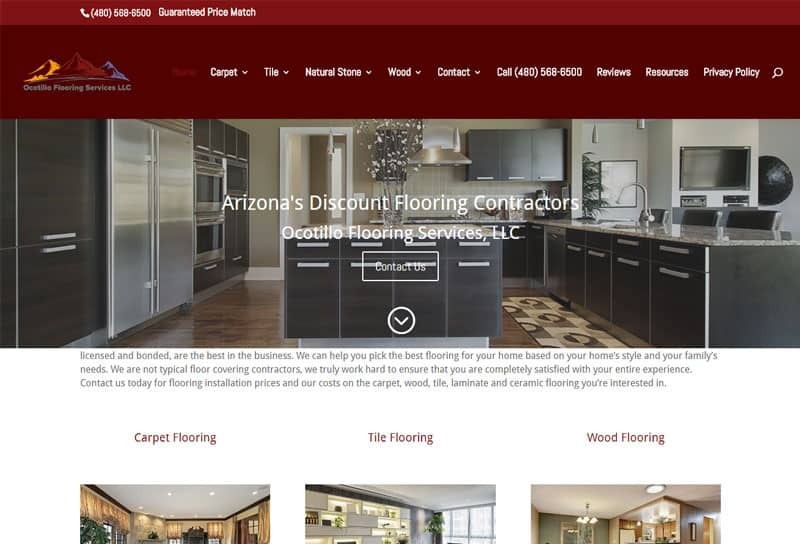 For a home improvement company like Ocotillo Flooring, the website serves as a digital showroom. In addition, the site needs to educate the user on their flooring options, since that's the main reason many visit the site. To accomplish both goals, we combined select photographs from the client's portfolio with educational articles on the various flooring types available. Finally, we chose a color palette that brought to mind the feeling of natural stone. A doctor's website needs to feel clean and trustworthy. We created that feeling by incorporating lots of white space and clean, simple images. In addition, we wanted patients (and prospective patients) to meet the doctors and view the facility. Transparency is another method of building trust with the user. One of Bespoke Builders' goals was emphasizing its Arizona roots. That meant a logo and color palette that brought to mind desert vistas and images that highlight local landscape. The portfolio needed to demonstrate the breadth of services the client offers, as well as its ability to work with a multitude of clients. That meant logos and basic project details for a mixture of recognizable, local brands and national, enterprise clients. 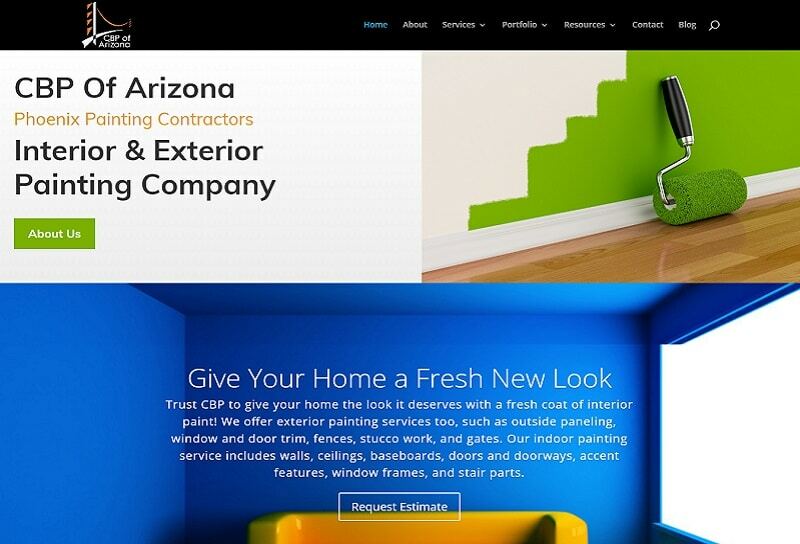 CBP of Arizona is a local painting contractor serving both residential and commercial clients. Their website needed bright, vibrant colors paired with simple text and graphics that allowed those colors to pop and dominate the page. Commercial contractors need to demonstrate that they have the experience and resources to handle big projects. 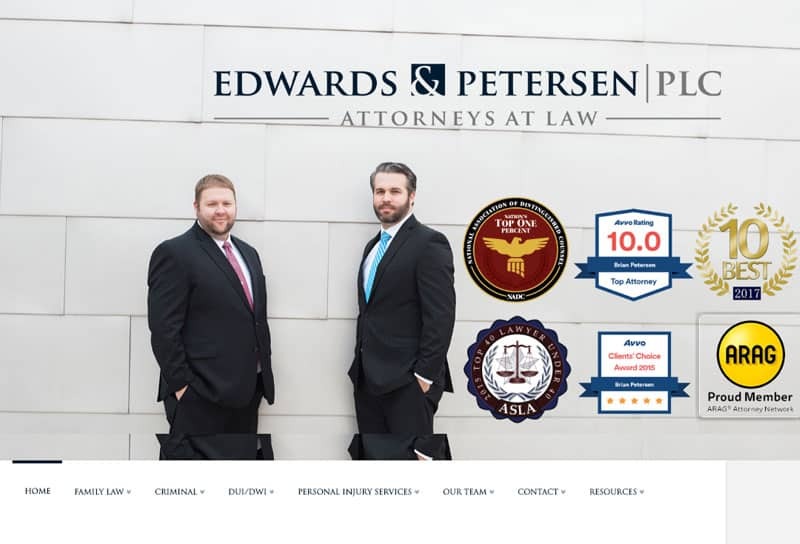 CBP's portfolio page accomplishes that with a comprehensive list of their commercial clients as well as testimonials as to the quality of their work. 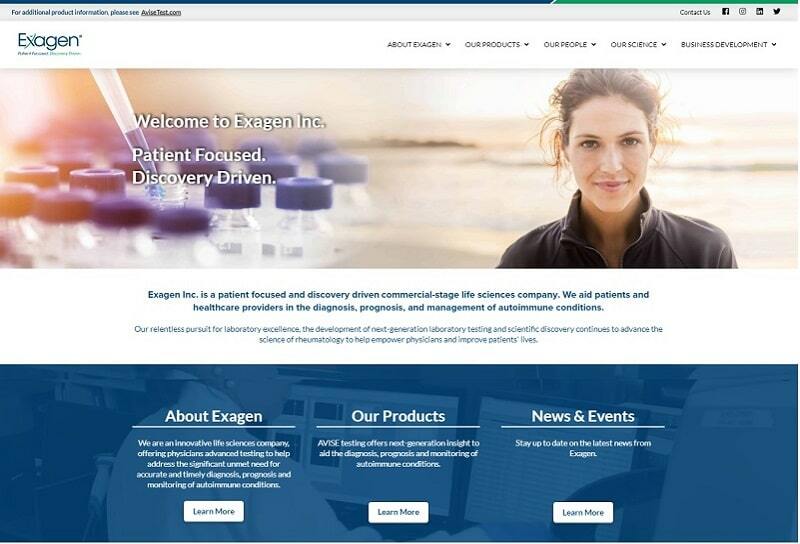 Exagen, Inc. is a medical diagnostics company that also sells it products to physicians and medical labs. 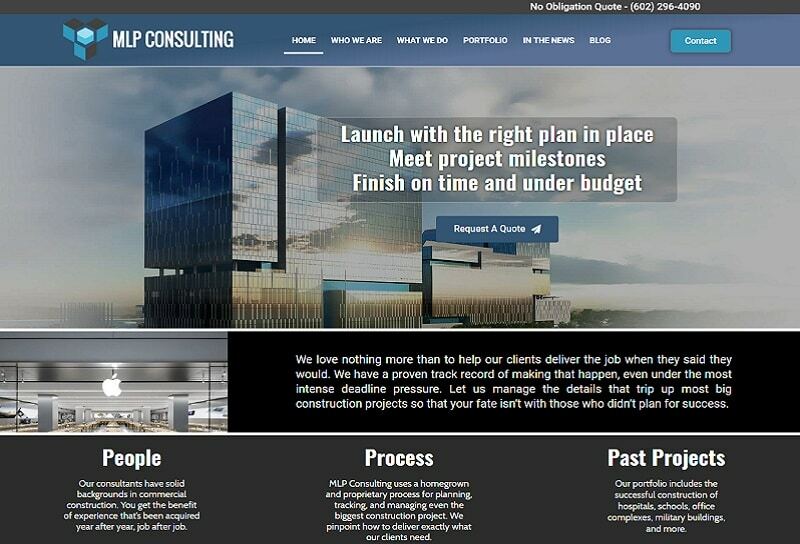 Their site needed to communicate knowledge, innovation, and expertise. Plenty of white space coupled with a clean palette and simple images help create that hospital feel. The next step was extensive editing to ensure both consistency and accuracy throughout the site's many pages. 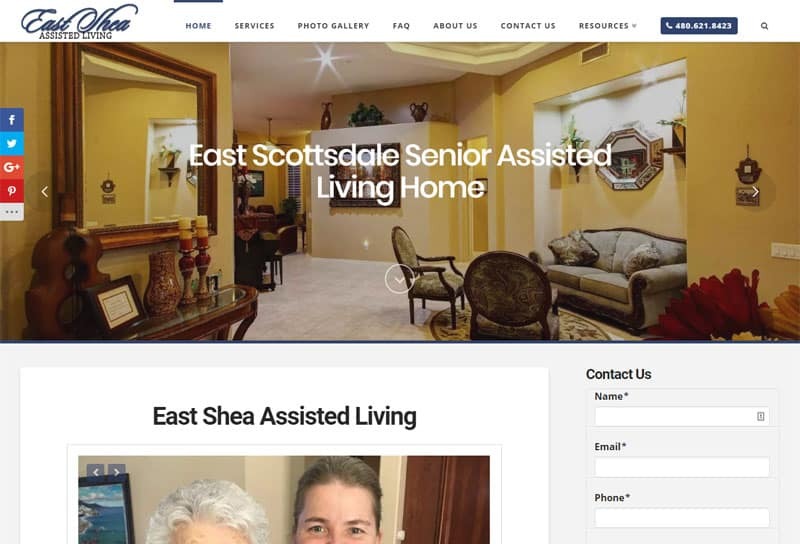 East Shea Assisted Living is a luxury residence for seniors who require care but not round-the-clock nursing. The goal in designing this site was demonstrating the comfort of the residence, the little touches that differentiate it from other assisted living homes, and the level of care residents receive. To accomplish this, we combined stunning photographs taken by our professional photographer with a warm color palette. 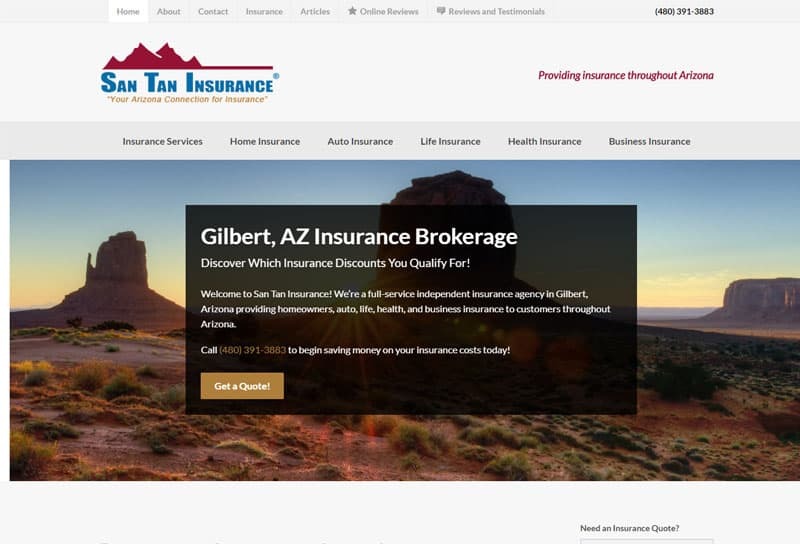 A local insurance broker, the main goal of San Tan Insurance was highlighting the principle's long history in Arizona and educating the user on the various insurance products available. But, to appear trustworthy, the site couldn't look too "salesy." We accomplished this with a neutral palette, lots of white space, and basic information about the different types of insurance available. 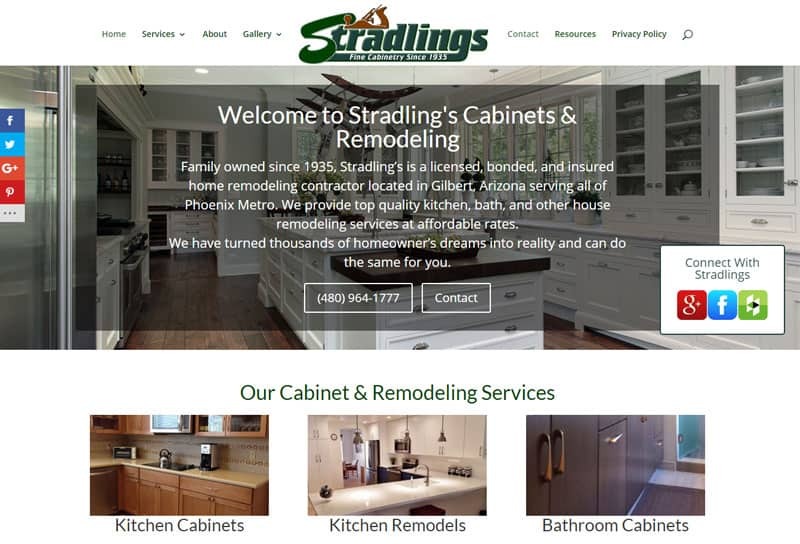 When Stradling's came to us, their site had few images – an odd choice for a remodeling company. And what was there was mostly stock photos. In addition to completely rewriting the site, our first order of business was obtaining before and after photos to create a portfolio. Next, we built pages to educate the user on the remodeling process. This helps both our client and the user, as leads coming in through the website are truly "warm" since users understand exactly what to expect as regards time and costs. 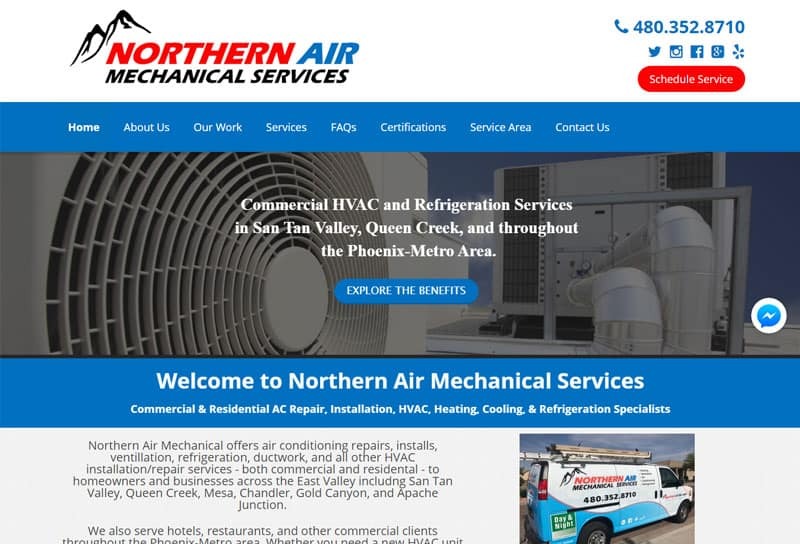 Northern Air provides a variety of HVAC and refrigeration services, with a preference for commercial clients. Arizona has no shortage of AC companies, so our goal was demonstrating the client's expertise and experience. 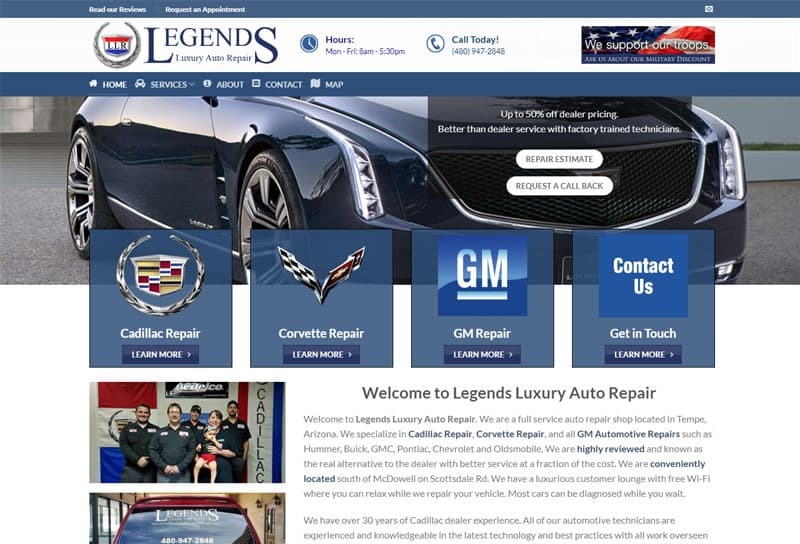 To demonstrate this, we created comprehensive pages that educate the user on each service the client provides with a subtle focus on the commercial aspect to help attract the client's preferred customer. 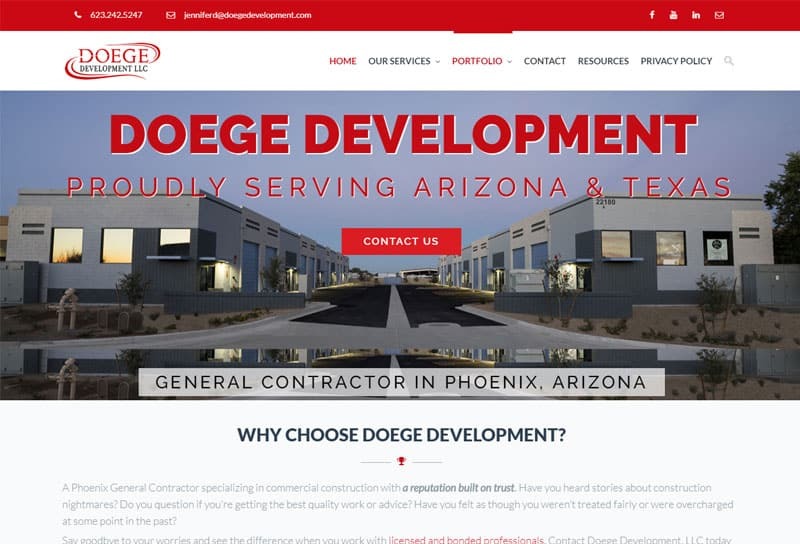 Launched after a partnership ended, Doege Development was both a new company and had decades of experience behind it. We wanted to establish the client's bona fides, so we relied on a combination of educational information about each service and a comprehensive portfolio of former projects. Finally, we incorporated the energetic red/black juxtaposition of the company's logo throughout the site for vibrant pages that "pop" for the user. Fun in the sun; that's what you can have when your pool is clean and well-maintained. 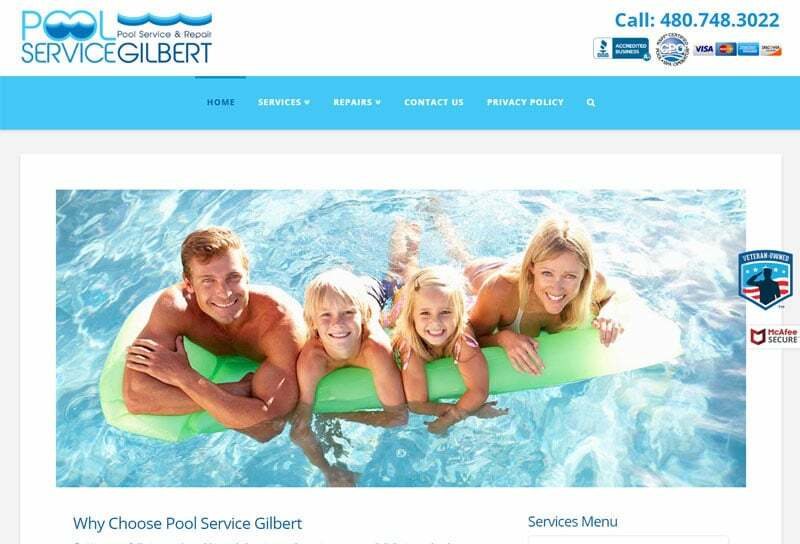 That's what we wanted to emphasize for Pool Service Gilbert and that's why the first image you see is a family enjoying their pool. Competition for pool service clients is stiff in the Phoenix valley, though. To help our client stand out, we emphasized their unique selling points, such as being a highly-rated, veteran-owned, local business. 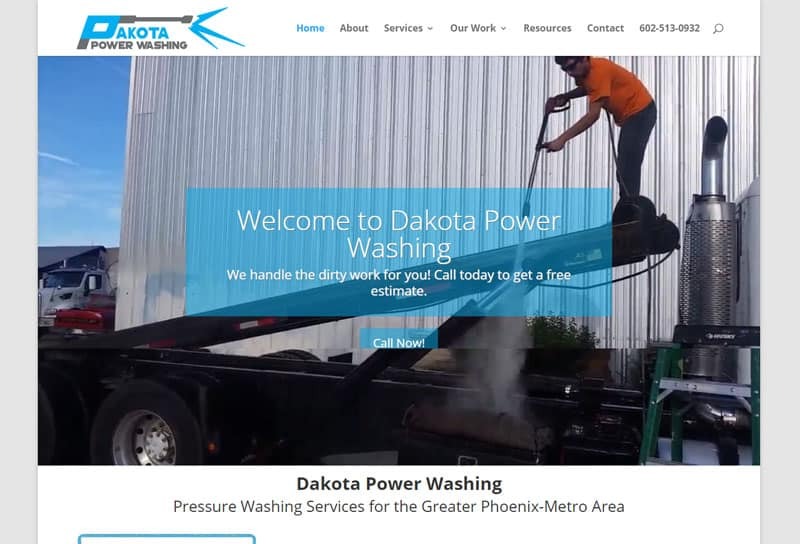 The goal with Dakota Power Washing's site was demonstrating all of the applications of power washing. It's both a common service and one few people seem to truly understand. To meet this goal, we relied on before and after photos and created an array of educational services pages. We also filmed and uploaded professional videos of the client's crew in action. Finally, to demonstrate the client's reliability, we highlighted his Elite standing on Home Advisor. Attorneys are not allowed to advertise the way most companies can. Instead, their sites must educate. Of course, that does not mean you can't talk up the attorneys' credentials, which we did throughout the E&P site. From there, we created pages for every specialty they practice, each optimized to capture hard-to-rank keywords. Finally, we tied it all together with blue and gray palette that communicates integrity and reliability. 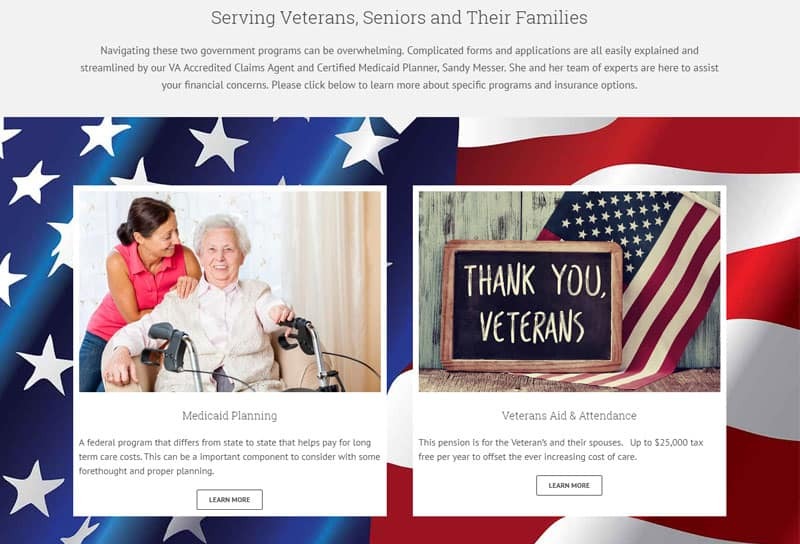 Long-Term Assurance is a financial planner that helps seniors pay for long-term care using the government programs Medicaid and Veterans Aid & Attendance. This site needed to convey a more caring feeling than typical financial sites. It also needed to ring the integrity bell as both a financial planner and a company specializing in the care of your loved ones. People-centric images helped accomplish this. 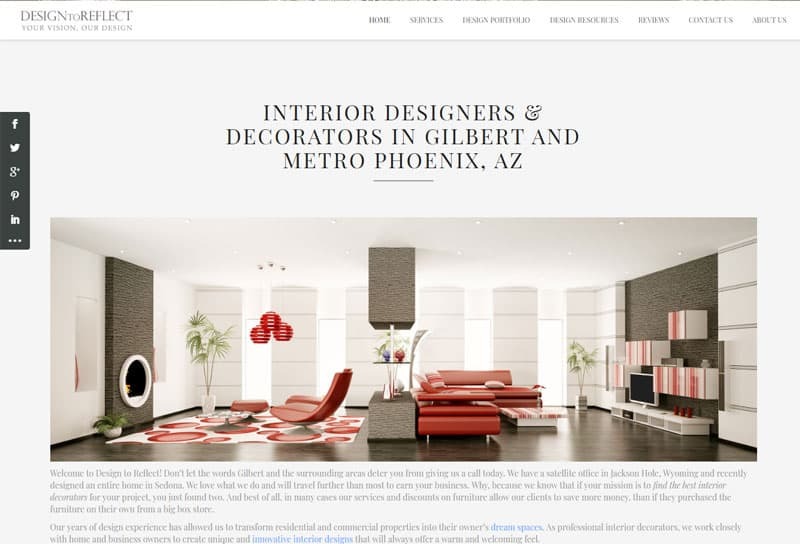 An interior designer's website needs to wow the viewer. After all, how likely are you to hire them if their website looks dull and lifeless? The star here is the designers' photos, so we chose a simple palette and typeface that wouldn't steal attention from the client's incredible images. Of course, the site is also a sales tool, so we created pages informing the reader of the various services and what to expect when you work with a designer. 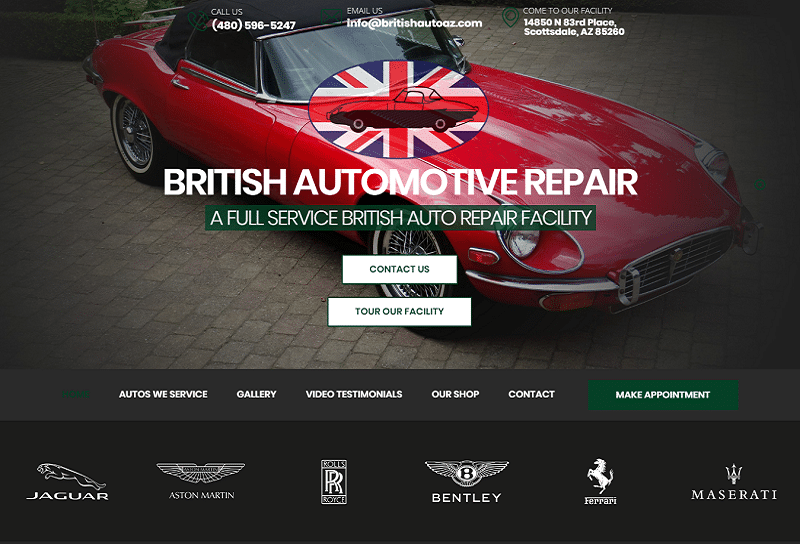 This repair company specializes in repairing luxury American cars. But, they believe in full transparency and in creating a lasting partnership with their clientele. That's why the second thing you see on their website is a photo of the entire crew. And the third thing you see is their price list. Practically unheard of in the auto industry. It's one of the reasons we love them as much as their customers do. 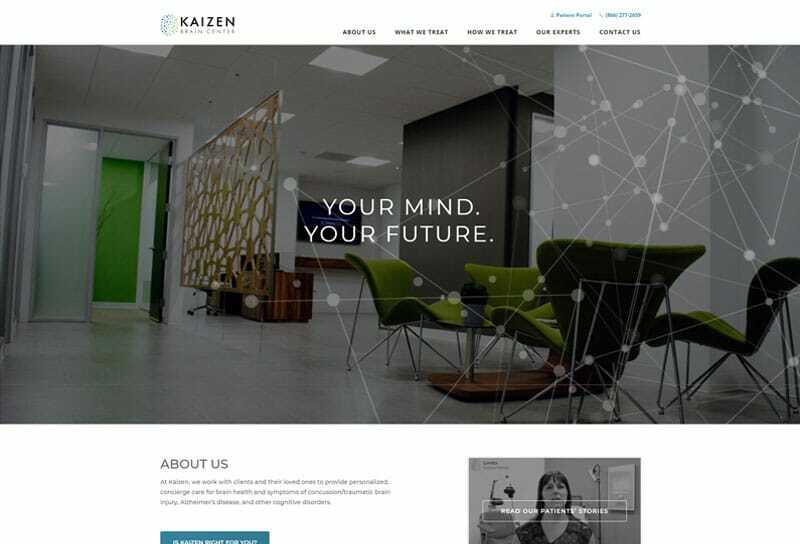 Another medical site, Kaizen Brain Center focuses on treating neurological disorders. Throughout the healthcare industry, marketing materials rely on blue and green palettes to help communicate the feelings of security, knowledge, and health. For Kaizen, we also incorporated abstract images that suggest neural pathways, representing the work the client performs for its patients. 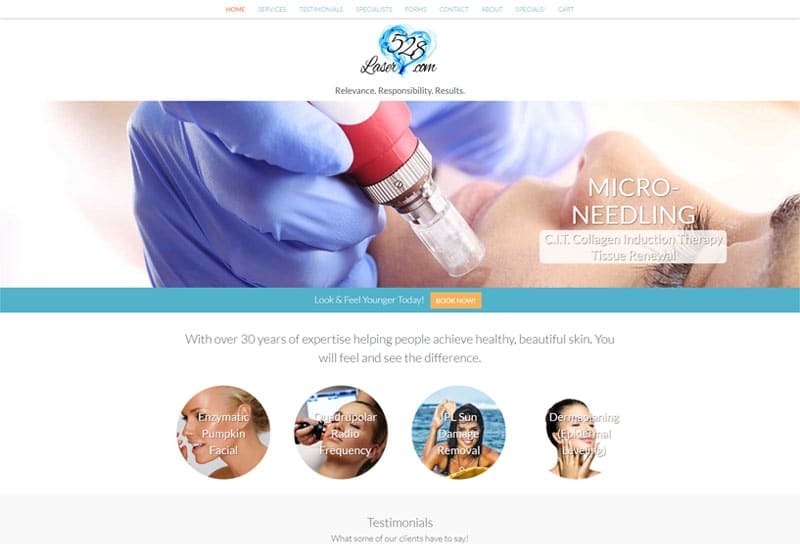 Laser 528 specializes in cosmetic procedures. So, while considered part of the medical field (most procedures are conducted by dermatologists), it nudges against the beauty industry. That's why we took the blues typical in a medical site and added colors associated with creativity: turquoise and purple. And, of course, images of beautiful women, since that's what you want from your cosmetic procedures. This client sells herself as a holistic health expert, building her brand on the power of essential oils. Green, of course, is the color of nature, so that's what we chose for our palette, accented with shades of purple. 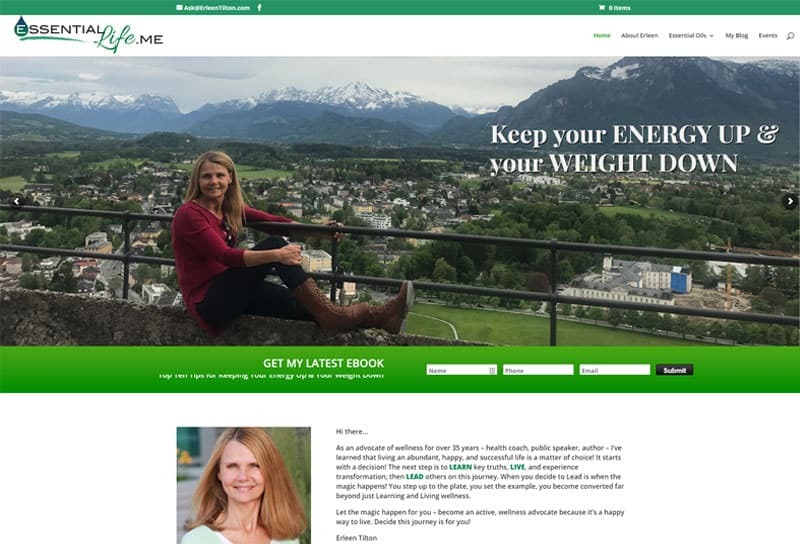 The site is fairly simple, relying more on images than text to sell the ideas of total wellness. And, of course, those images are steeped in nature, as that is the client's – and her target audience's – foundation for health. This engineering contractor offers consulting services to commercial contractors. The goal in designing their website was establishing the client's credentials and unique expertise both behind the drafting table and in the field. We chose serious shades of blue and gray and a no-nonsense typeface. Then, we highlighted some of their more impressive jobs, and rounded it off with educational materials on BIM modeling. This electrical contractor has over 40 years operating in the Phoenix valley, which we chose to highlight using images of their more iconic projects. 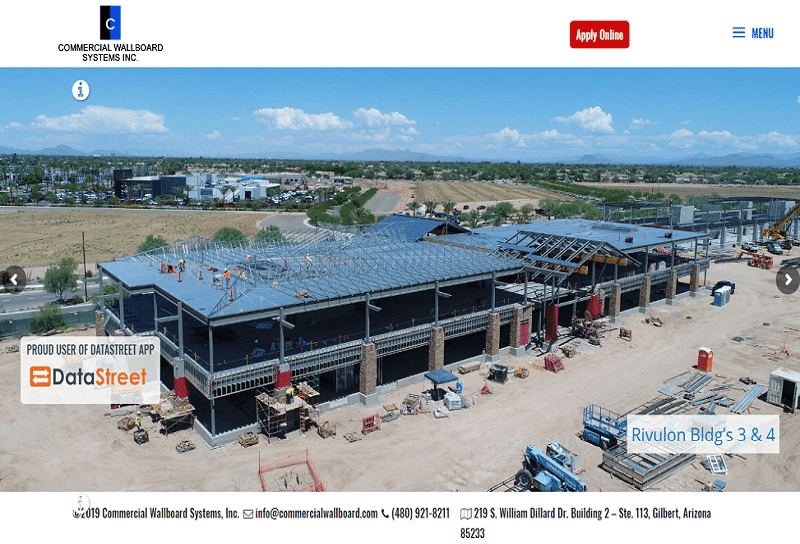 The hardest part was choosing which projects to use, since they helped build for the Arizona Cardinals' stadium, multiple buildings at ASU, multiple hospitals, and much more. After establishing their bona fides as locals, we turned to educating the user on the services they provide. 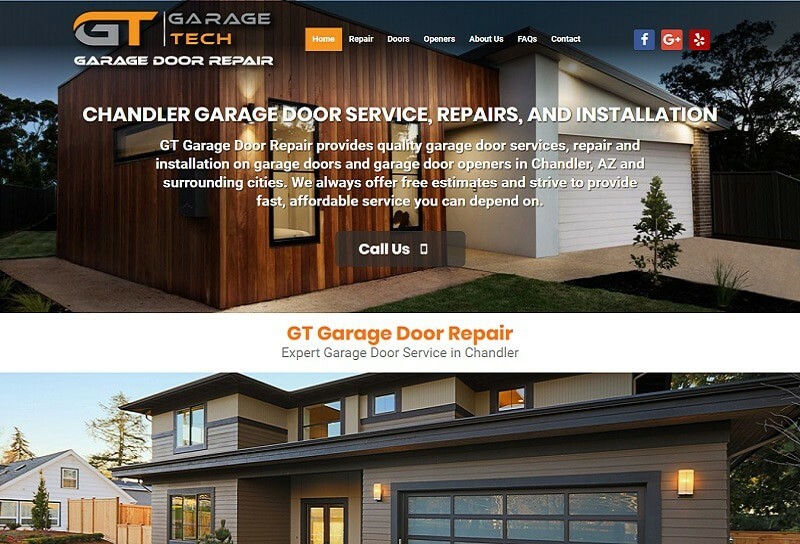 This local garage door repair company was trying to compete in a big box world. 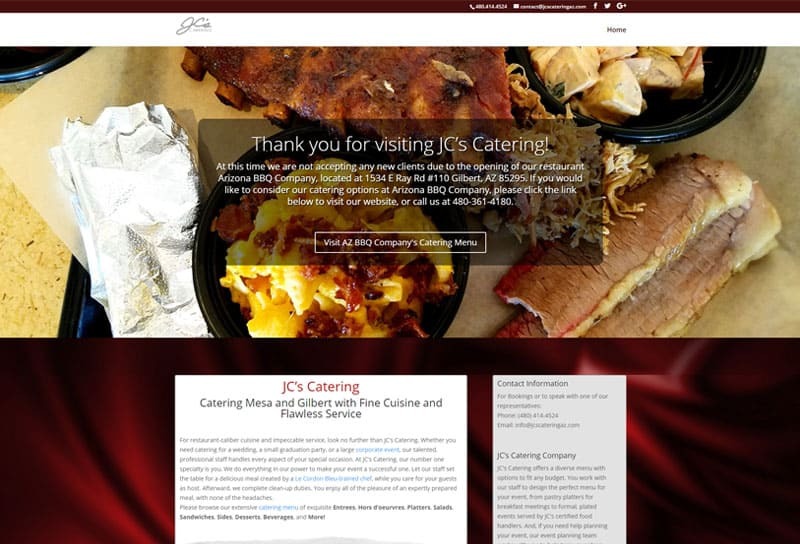 Our goal was creating a site that let the user know they were getting a locally-owned company that offered big brand service. To that, we chose an earth tone palette, which helps instill feelings of comfort and stability. We rounded it off with an FAQ page to highlight the client's expertise and generally helpful nature. 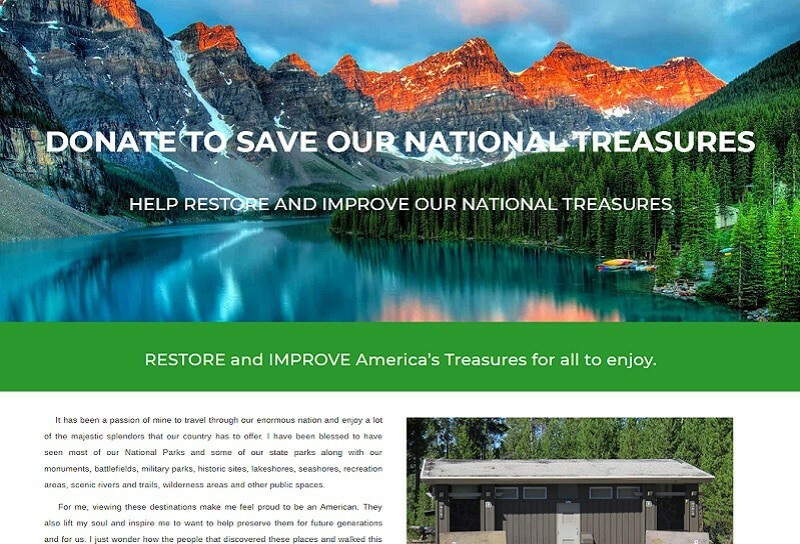 The goal of this client is a simple one: Raise awareness that the United States' national parks are in danger due to underfunding (and raise money in the process). That's why the site's images focus almost entirely on photos of our parks. 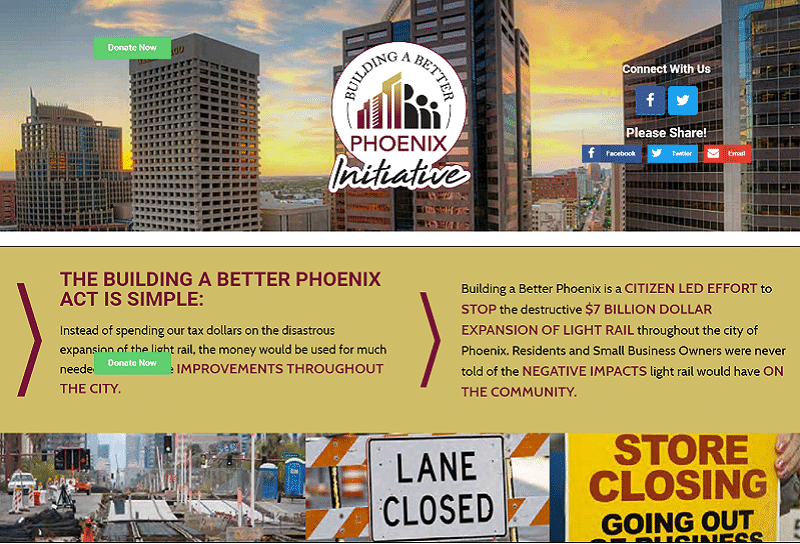 After that, the site educates the reader on the issue, from the dangers facing the parks to people working to raise the funds to how the program works. 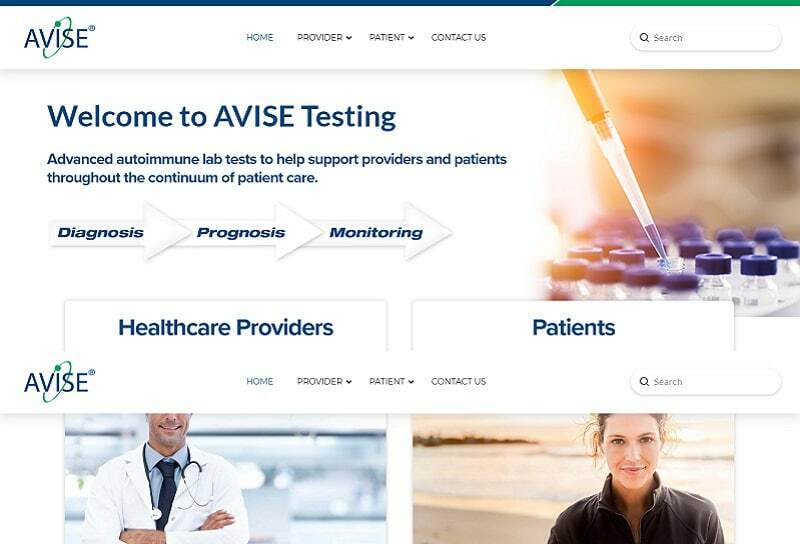 The sister company of Exagen, which develops the diagnostic products, Avise provides the lab results. 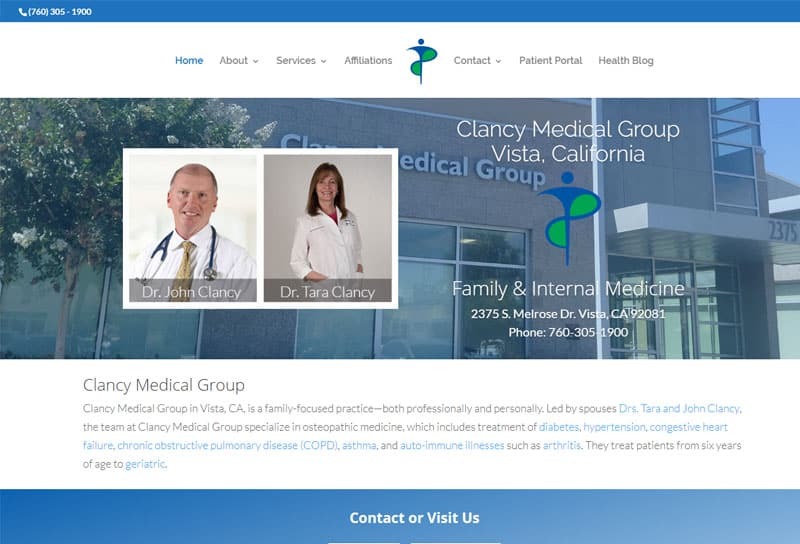 For this client, we created two sites, one for the provider and one for the patient, with nearly the same information. However, one had more scholarly, technical language and images (the provider site) while the other used layman's terms and softer imagery. Again, our editor scoured both for consistency and accuracy. 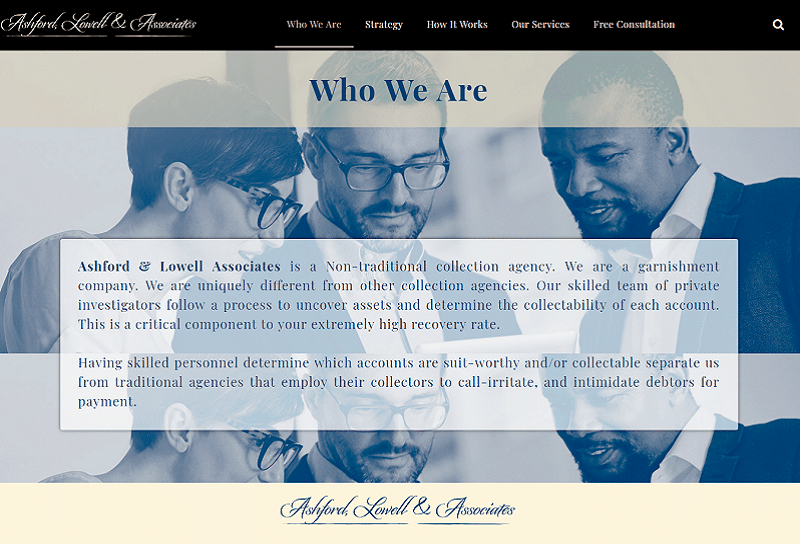 This client wanted to distinguish itself from the typical collections agency. Their goal was to instill a boutique feeling. To achieve that aesthetic, we chose a black and white palette with tones of sepia and blue. We then incorporated the feel of that palette throughout the site, in images and fonts. This podiatrist wanted to instill the feeling of authority while maintaining the family-friendly atmosphere that kept his patients coming back. We uploaded new photos of the doctors, something the site was lacking before. 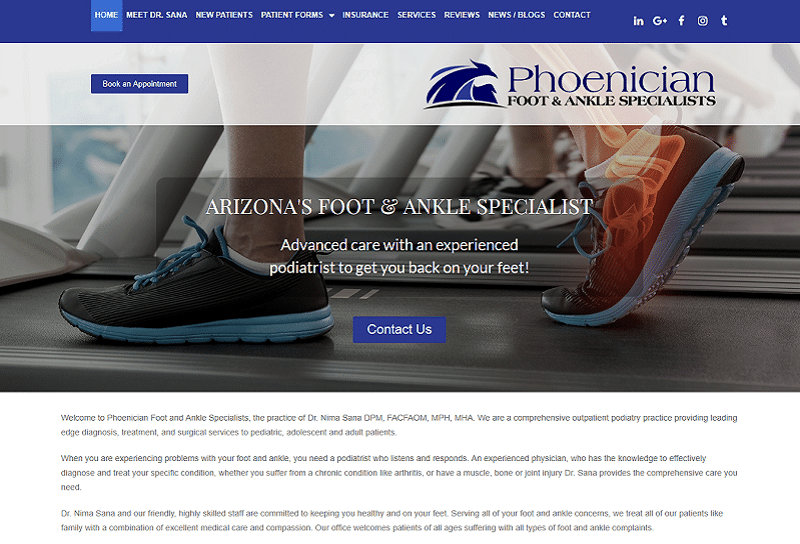 In addition, we commissioned videos of them discussing common foot and ankle ailments and added those to the site. 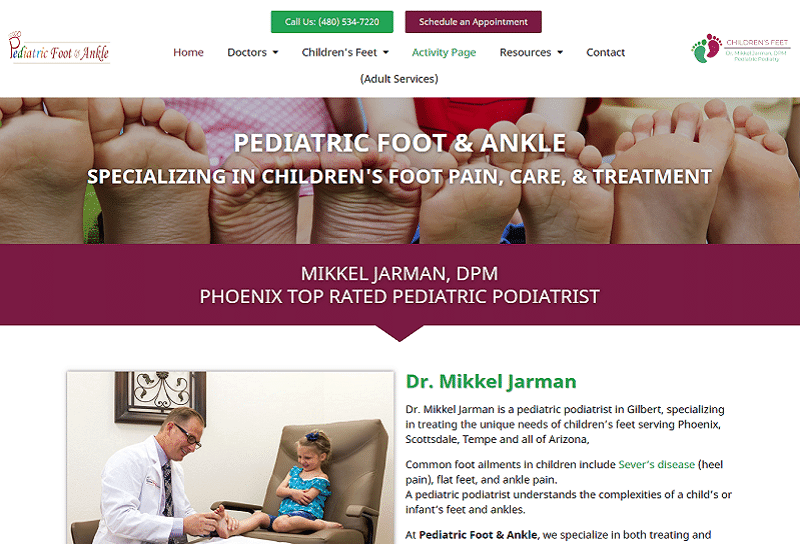 This sister site of Preferred Foot & Ankle seeks to appeal to both children and adults. After all, it's the parent bringing in their child. Great photos of the doctor with his pediatric patients, testimonials from happy parents, and a high energy color palette distinguish this site. 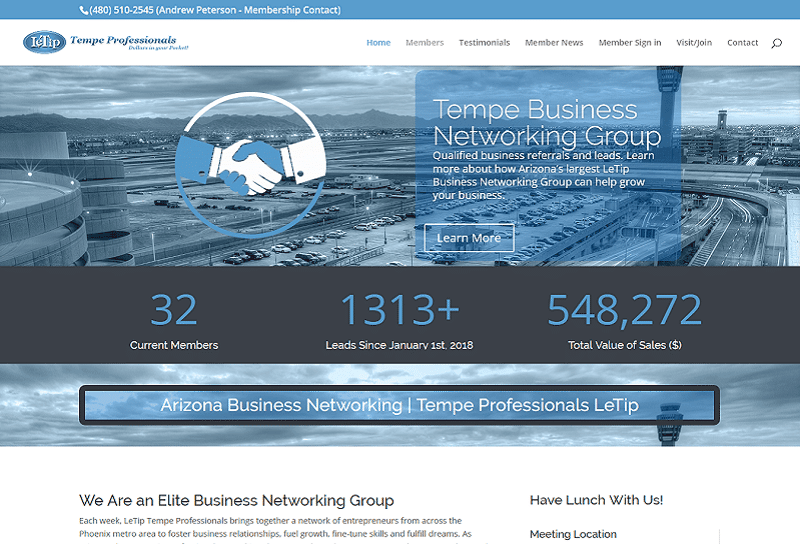 The client wanted a site that felt professional while conveying the feeling of "this is the future" for networking. A neutral palette of grays and whites, with sky blue accents, accomplishes both goals. 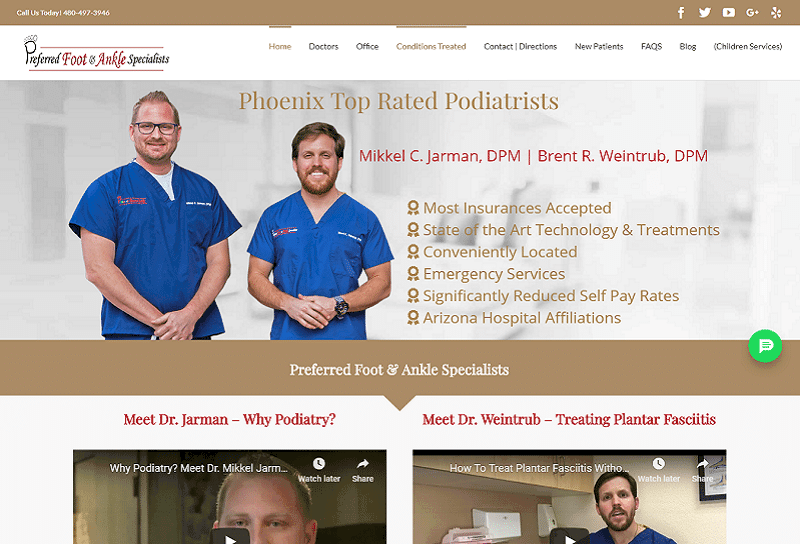 This podiatrist wanted a simple, straightforward site incorporating the font and colors from his logo and appealing to the demographic of his high-rent locale. We also sent our photographer to create 360 imagery and images of Dr. Sana at work. The main goal with this computer repair and IT company was ranking for commonly searched keywords. Then, of course, wowing the user once they found the webpage. The site looks clean and uncluttered while still containing abundant information that remains hidden until the user hovers over the pertinent graphic. 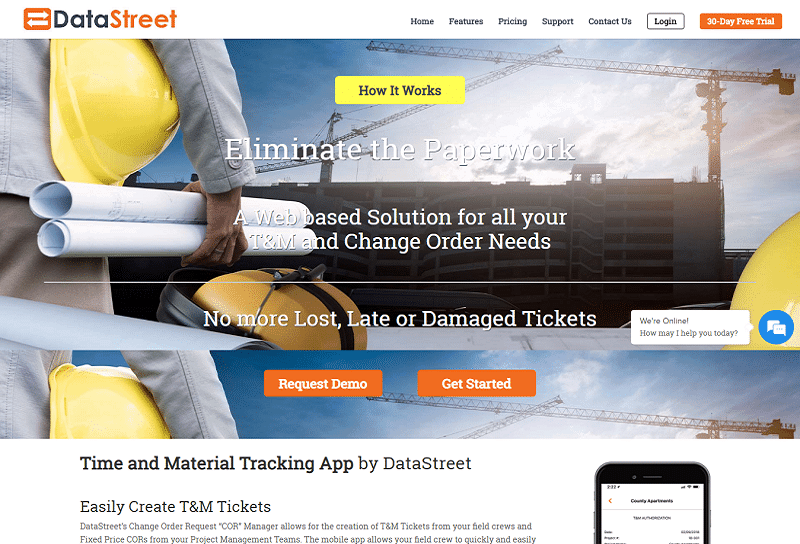 Catering to the construction industry, Data Street helps contractors manage their paperwork and stay on task and under budget. The orange palette images reflect the construction aesthetic. In addition, we used a clean font and neutral colors to really make the orange pop. Finally, a simple design reflects the no-nonsense mindset of the industry. 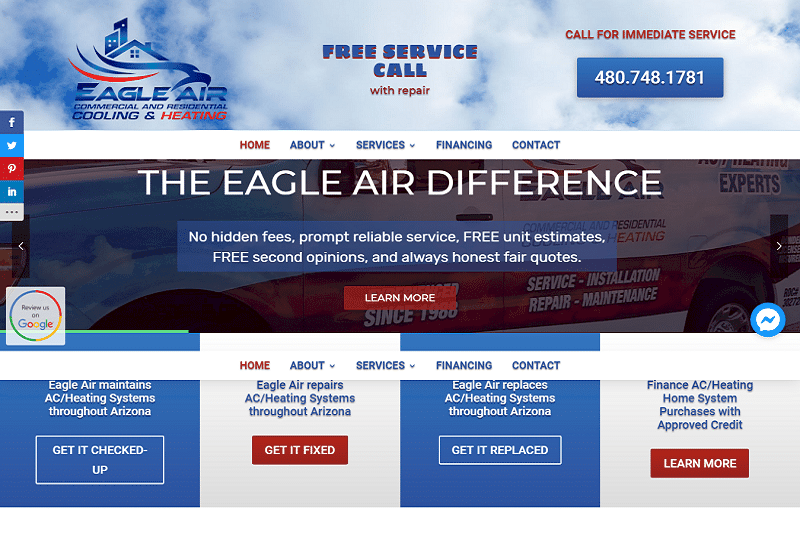 This AC repair company's name – Eagle Air – inspired our design of the logo and choice of a red, white, and blue palette. 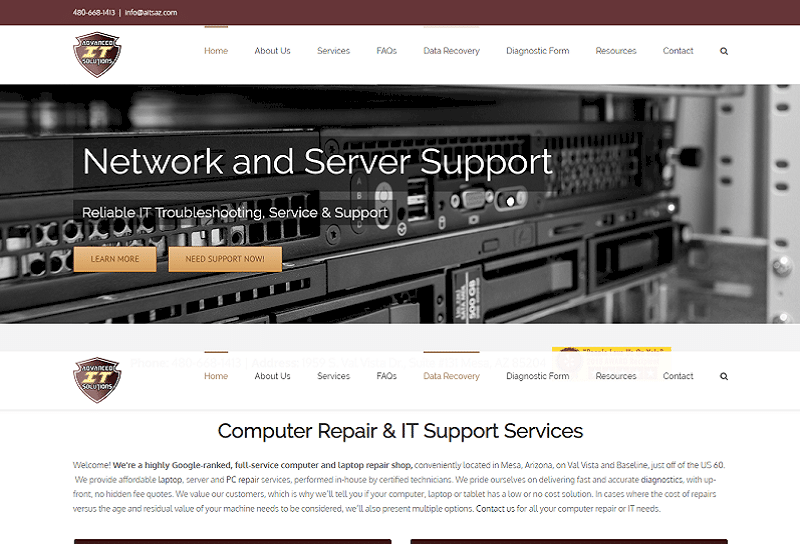 The website is both simple and informative, with a layout that reflects a much larger company. This was a conscious choice, since the client is a small business trying to compete against national brands. 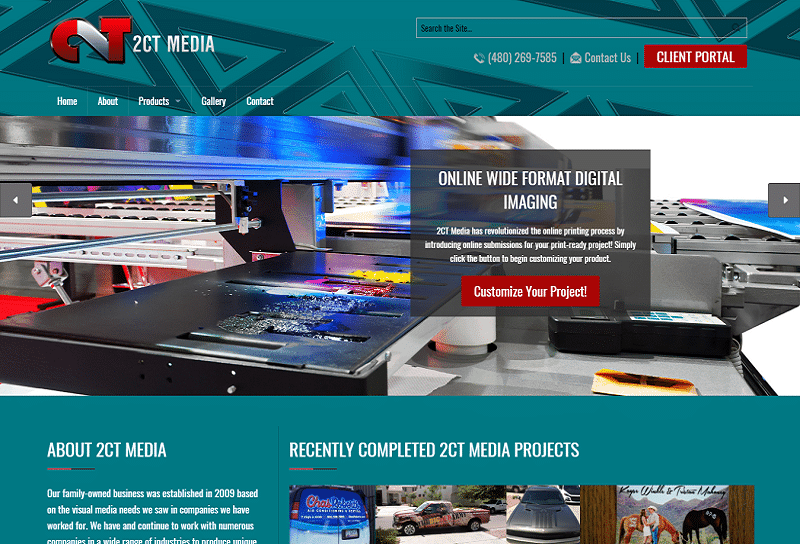 For this digital imaging company, the star is the client's portfolio of amazing work. Each page has a simple design supplemented by the client's eye-popping graphic designs. The simple About page highlights the family-oriented business, embracing the "buy local" demographic. I deleted all my notes except this one: I have no idea what to write for this. This is a one-page propaganda site that's full of crap. I worked on Central for 3 years. It wasn't reduced to a 2-lane street. The light rail is always PACKED with students and workers. Traffic is not worse. I've never had an easier time getting to baseball games and other downtown events. I have the feeling this is the brain child of someone who owns a parking garage in downtown Phoenix, angry that people are happy to pay $2 to ride the light rail instead of $20 to park and then deal with the horrendous traffic before and after an event. I suggest you or Tedd write this, since I have no idea what the point is or what to write. British vehicles are amazing, but it can tough finding a reliable mechanic when service is needed. That's why we chose to highlight the histories of the luxury vehicles this client services. After all, when you choose to drive this type of vehicle, you want to know your service tech respects your choice. 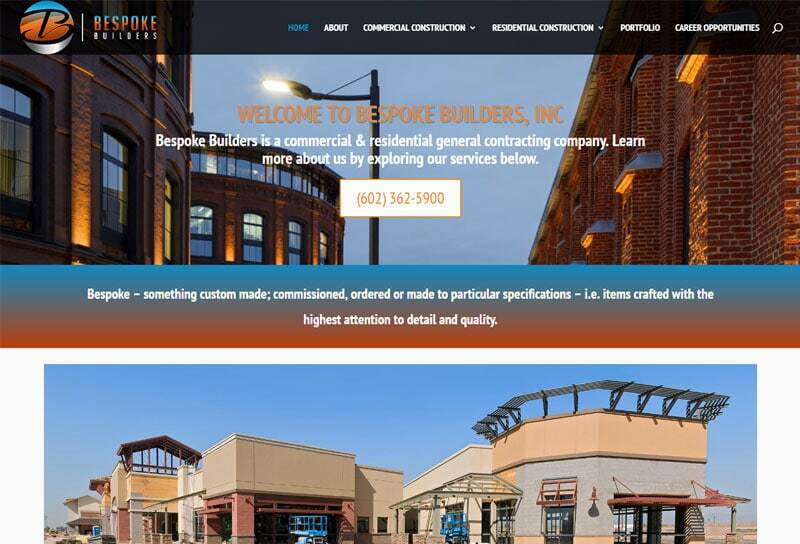 This client wanted a no-nonsense website and they got one. The user scrolls through a slideshow of the company's more iconic projects. When they're ready to learn more, they click on the hidden menu and select the link of their choice.